This is the third entry in 5 Weeks of Fire Walk With Me. Next week I will discuss connections between the film and the new Showtime season last year. David Lynch's Twin Peaks: Fire Walk With Me (1992) is a confounding experience for many viewers because it can be so hard to contextualize. 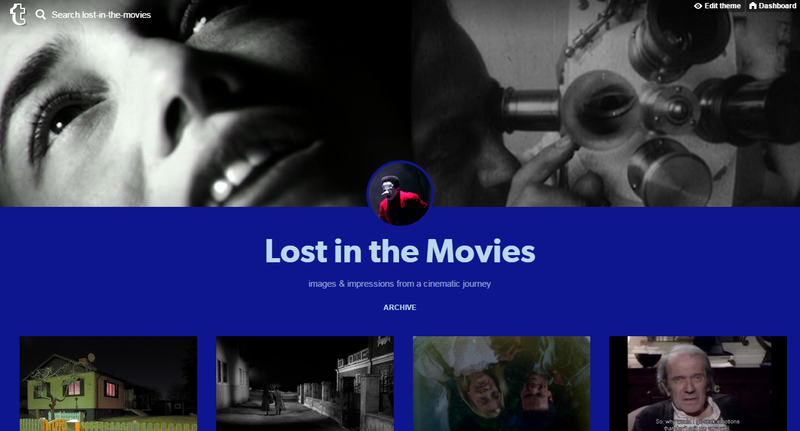 Cinephiles may feel too alienated from its connections to a TV series to appreciate its qualities as an art film; horror enthusiasts may be tripped up by its reliance on surreal experimentation over genre tropes; Lynchheads may be perplexed by its raw, grisly intensity, its ingredients less balanced than they are in other, equally strange entries in his oeuvre; and Twin Peaks fans may be the most bewildered of all. This is all the more true if those TV viewers came to the beloved ABC series thanks to soap opera, sci-fi, or quirky comedy but are unfamiliar with the more abrasive work of its auteur. Haunted for many years by its undeserved bad reputation, the Twin Peaks prequel wandered in the wilderness like a lost soul, a film without a home. The truth, however, is not so much that Fire Walk With Me doesn't belong in any of those contexts - in fact, it belongs to all of those contexts. If the movie doesn't fit neatly into any one category, it still spills over into many, in deeply fascinating ways. Here are four ways to watch Fire Walk With Me, each gripping on its own but even richer when viewed in conjunction with the others. 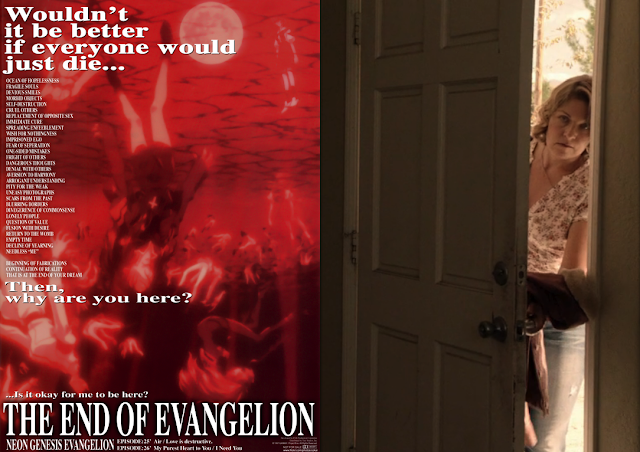 Inevitably, major plot points will be discussed below. 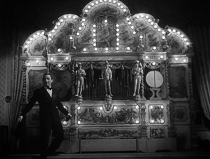 And if you're hungry for an additional "Four Ways" analysis, in this case placing the movie inside different junctures of the series, check out the brilliant "The Four Placements of Fire Walk With Me" by Julius Kassendorf. My own analysis will eventually explore Fire Walk With Me's connections to the series (in the most extended section of them all), but first I want to start as far away from that perspective as possible. 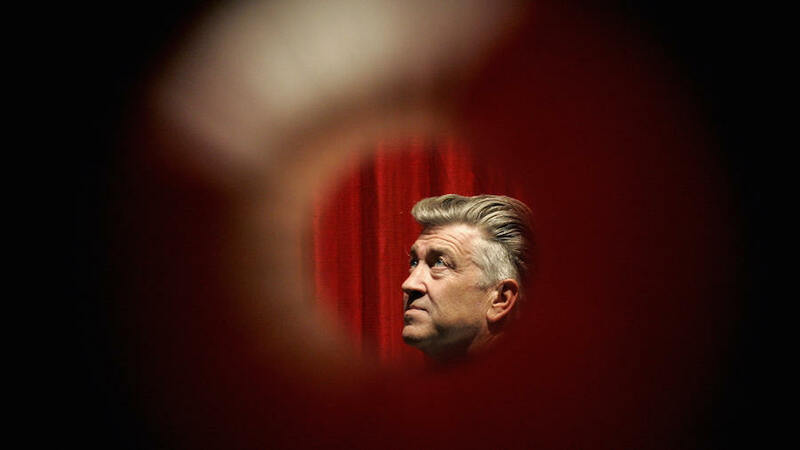 Just over a year ago, I announced a loose series of posts: "5 Weeks of Fire Walk With Me" to celebrate the release of the Twin Peaks movie as part of the Criterion Collection. Some of these pieces were more ambitious than others, and I had to pause my schedule after a couple weeks. I never thought it would take an entire year to come back! Now, however, the remaining entries are either completely or almost ready and Halloween seemed like a good time to return, not only because the first post discusses the film within the horror genre (among several contexts) but because the last day of Fire Walk With Me's production happened to fall on October 31, which is also - believe it or not - the birthday of both the actors who played Bob and the Man From Another Place. So this Wednesday, look for "4 Ways to Watch Fire Walk With Me," a study of the film in light of art cinema, horror, Lynch's filmography, and Twin Peaks. 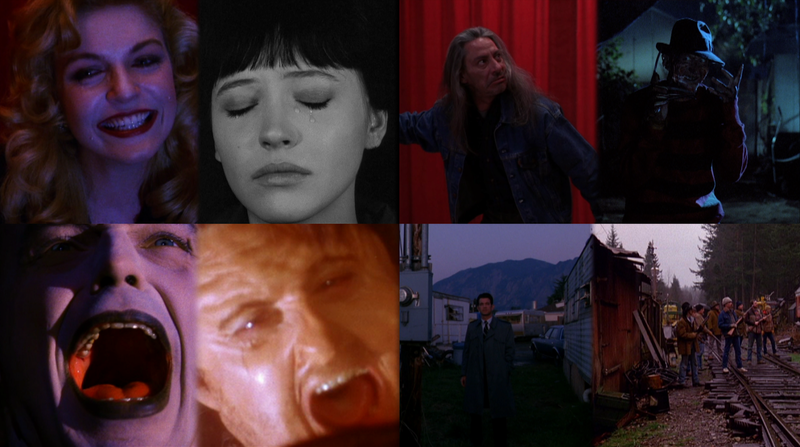 The following week, hopefully by Wednesday, I will publish "Twin Peaks: Fire Walk With Me and Twin Peaks: The Return," a collection of connections between the film and the third season (which featured many callbacks). And finally, in a concluding entry that wouldn't have been possible if the series stayed on schedule last year, I will interview Lindsay Hallam, author of Twin Peaks: Fire Walk With Me, a new book in the "Devil's Advocate" series. 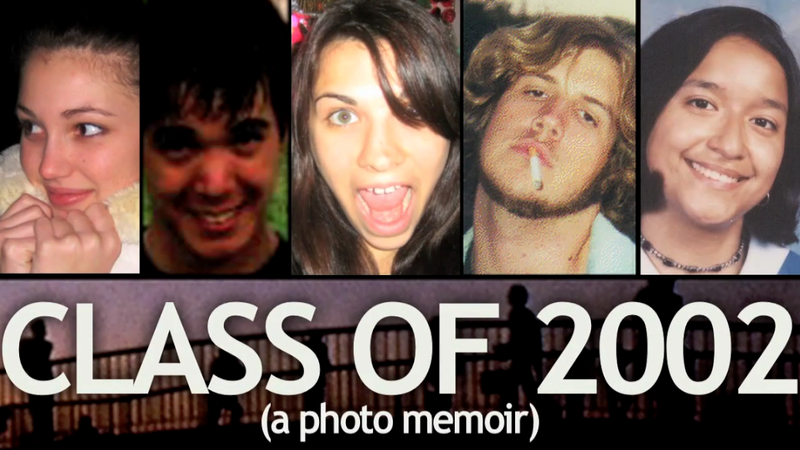 See you in three days. This was intended to be a light episode but it ended up being kind of packed. The "other topics" section is vast this week, despite mostly limiting itself to very recent media intake. This includes the unsettling French film Mimi, the comedy series Schitt's Creek, and an extended discussion of Hill Street Blues' early fourth season, including another Mark Frost-penned episode (although he was also story editor for all the episodes this season). There are also a load of new podcast recommendations alongside a reflection on some recent Twitter beef involving the hoary "race vs. class" debate that has only worsened since 2016 while taking on new (and in my mind lopsided) manifestations. For "Twin Peaks Reflections" I go broad, surveying the past year for a general discussion of what the fallout from The Return has looked like. I read some listener feedback on that Showtime season and close out the program with an apropos reading of my 2010 essay on my "#1 horror film" The Shining (although a year later, it didn't even show up in a top 100 films of all time list alongside Rosemary's Baby or Fire Walk With Me - so who knows about these things). I'm hoping there will be much more Halloween programming in a few days but it might be difficult to complete the work in time. Wish me luck and maybe I'll have a treat instead of a trick for listeners early next week. The Ethan Hawke film in focus series continues for its second month; October's selection is Gattaca, the 1997 sci-fi film in which Hawke plays a genetically "deficient" young man who passes as someone else. Enmeshed in a murder mystery while awaiting an imminent trip into outer space (and romancing Uma Thurman in a very hip nineties pairing), he's pulled in two directions at once. 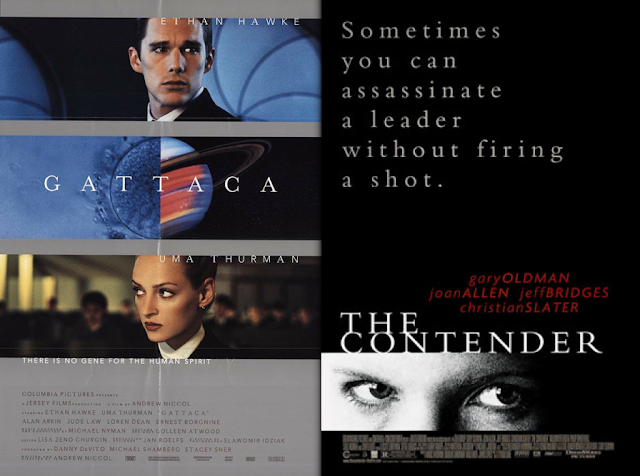 At the end of this podcast, after discussing podcasts about the recent Brett Kavanaugh judicial confirmation, I revisit my 2008 review of The Contender about a scandal-plagued vice presidential candidate tormented by a Republican political inquisition (this is a film I thought for all the world had been written by Aaron Sorkin until about three hours ago). I also have quite a lot of listener feedback this week, in response to several different episodes, and for "Twin Peaks Reflections" I look back over the interviews I've conducted with Twin Peaks scholars since 2014. 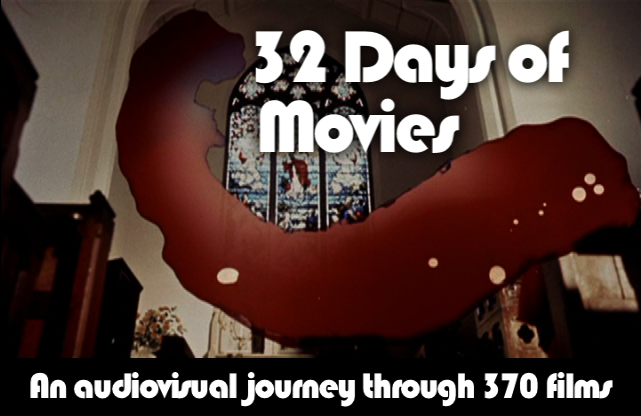 The biweekly preview, meanwhile, is an Agnes Varda documentary about shopkeepers - another full review, and the twentieth preview this year. Now is a good time to become a $5 patron because I have yet to publish any of the pieces I've previewed since January: that's roughly thirty-five pages of written material, a dozen or so images, and a couple minutes of video essay footage only available to members of the second tier. Be the first one on your block to get a sneak peek! 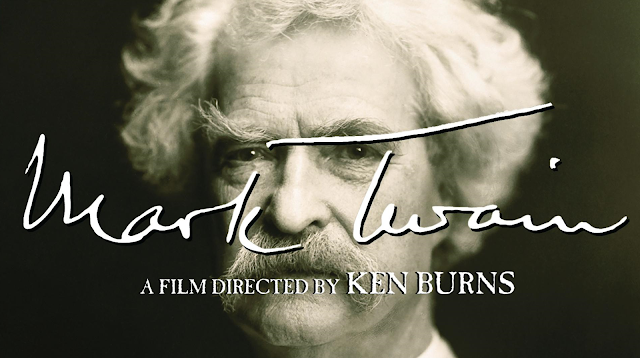 Bit by bit over the past month, I've been watching Ken Burns' fascinating documentary Mark Twain. I didn't know many details of Twain's life before watching so both the style and the story made for a captivating experience. In this episode, the 2002 Twain is my film in focus, while "Twin Peaks Reflections" focuses on an early (and apparently contested, as I only found out after recording) draft of Fire Walk With Me. The latter half of Episode 40 is dominated by podcast recommendations, covering Nicaragua, Washington congressional candidate Sarah Smith, animator Ub Iwerks, and the French Revolution - among many other topics. You can watch Mark Twain here and here. 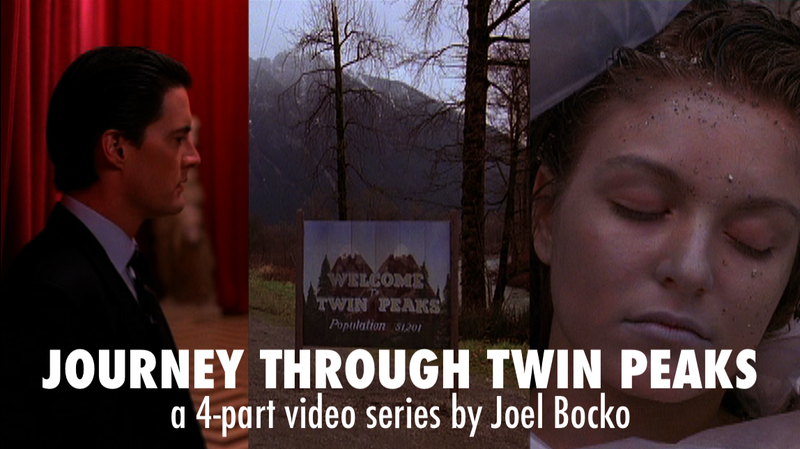 What would you be interested in hearing from "Twin Peaks Reflections" in the future? With the Return rewatch over, I consider some different options and also ask for your input. Additionally, I survey all of the Twin Peaks subjects I've covered so far. Elsewhere on the podcast, I finish reading my 2015 End of Evangelion review, read some follow-up feedback from the listener who discussed Cooper as the dreamer (now she's focusing on Carrie Page as Laura's dream), and run down the films, books, and music I've experienced in the past several months. For the biweekly preview, I share a full review for the first time, of the Argentine film Zama. TWIN PEAKS REFLECTIONS: Where should I go with this section?